Here's Your First Look At Patricia Prieto's Clothing Line! Find out more about this blogger and spinning instructor's debut collection. Blogger and spinning instructor Patricia Prieto knows a thing or two about exceeding expectations. Apart from motivating people of all ages, shapes, and sizes through fitness (she's an instructor at Electric Studio), she's decided to pursue one of her old passions she kept at bay—fashion design! 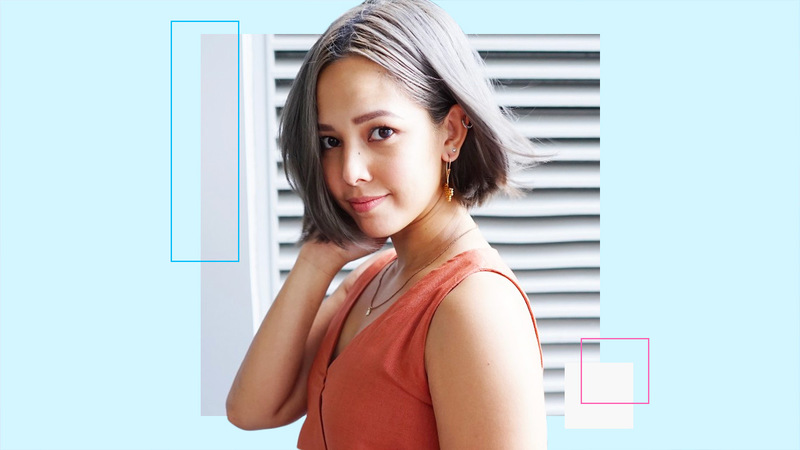 With the release of her upcoming minimalist clothing line, Paradigma (named after her personal blog, "It's Paradigma"), Patricia tells Cosmopolitan Philippines how she manages to do it all, and why she never gave up on designing a line that is uniquely her own. You've been a style and travel blogger for quite some time now—what made you decide to start your own clothing line? Yup! It's been nine years—I regret nothing and I love every bit of what I do. It's always been a dream and goal of mine but due to blogging, it had to take a backseat. One day I decided to dig up some of my old designs. Doing this reminded me that I really loved designing clothes! I came up with some sketches and now they've become a reality! Where did you learn how to design, sew, and create a clothing line? I studied Fashion Design & Marketing at SoFA! I know how to cut, make patterns, sew and more—it's pretty awesome if you ask me! What are your design inspirations for your first collection? The designs I have for my first collection were inspired by one of my favorite countries ever: Spain. When I eventually fully release my collection you'll see which city inspired which piece. I'm sure that many of my designs will be inspired by different countries and cities that I've visited before. What are the three words that describe your debut collection? What kind of girl do you envision wearing your collection? I can totally imagine a strong, artistic, and chic woman who loves to travel wearing my clothes. My designs are flexible so they can be mixed and matched with dressy pieces, casual pieces, designer pieces, and more. Where will your designs be available? What will be the price points for your collection? For tops, dresses, and bottoms. Still working that bit out but I should have everything finalized in a few weeks! What's your biggest dream for this clothing line? For it to be recognized internationally—now that would be amazing! Given that you're also a spinning instructor at Electric Studio, will we see you venturing into athletic wear soon? It's been something I've thought about but let's see. It's hard to compete with other amazing brands out there but hey, who knows! Do you have any advice for women who also want to release a clothing line someday? When you design clothes, create clothes that will make you proud to show others and be sure to design pieces that you love! * Answers edited for clarity.